When reached by phone earlier this week, Yariv Bash was feeling a mixture of excitement and anxiety. For years, he has been at work designing a spaceship that will try and carry out Israel’s first mission to the moon. On Thursday morning it blasted off from Cape Canaveral, and will spend the next seven weeks trying to complete its journey to the lunar surface. Outer space isn’t the only area where Bash is focused on innovation. Along with his co-founder Amit Regev, he is also the creator of Flytrex, a startup focused on making drone delivery into a reality. The company got its start delivering packages in Reykjavik, Iceland, where it helped the e-commerce giant Aha to ship sushi and sandwiches across the city. It now has continuous operations running in Iceland and Costa Rica, with over a thousand successful drone trips completed. In the fall of 2018, Flytrex completed its first major deployment in the United States. Drone delivery isn’t broadly legal in the US yet, but Flytrex and the local partners found an ideal use case under Part 107 rules to perform commercial drone delivery operations to real customers without requiring special permissions from the Federal Aviation Administration. 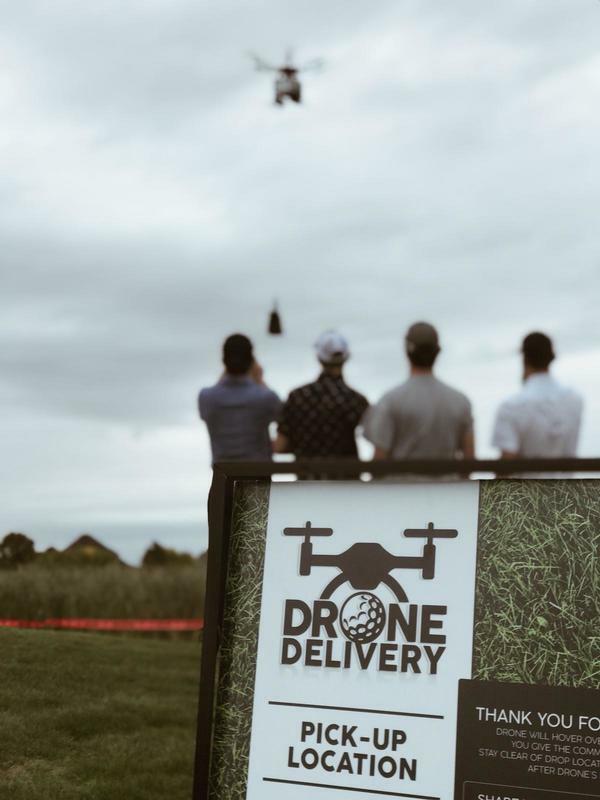 For four weeks it flew over King’s Walk Golf Course in Grand Forks, North Dakota, bringing burgers and soft drinks to customers enjoying a round of golf. To date, there have been no injuries or fatalities stemming from the more than 1,000 flights carried out by Flytrex’s fleet of drones. Its next major test is slated for Holly Springs, North Carolina. This deployment will be part of the UAS Integration Pilot Program (IPP), and involves working closely with the FAA and U.S. Department of Transportation. The IPP is focused on authorizing advanced drone operations so industry and government can work together to gather safety data and find ways to bring these kinds of cutting-edge missions into the mainstream. 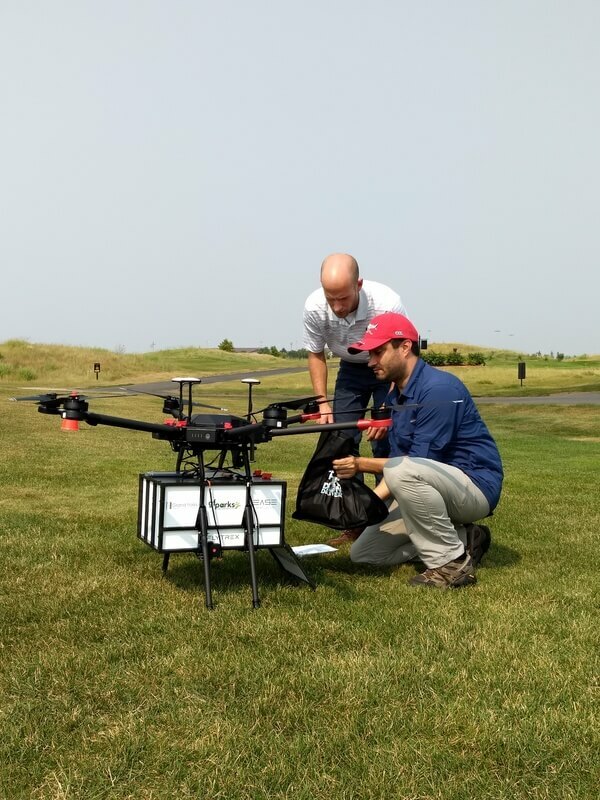 In North Dakota, Flytrex deliveries happened on the wide open expanse of a golf course. In Holly Springs, deliveries will be made directly to backyards. When Flytrex first started out, the company built its own custom-made drones. But the team quickly realized it made more sense to rely on an established platform. They now use the DJI M600, carrying orders up to six pounds in weight. They have a specially built system that keeps the contents safe and temperature controlled. When the drone arrives at its destination, the package is lowered by wire. “Drones are almost an order of magnitude more efficient when it comes to on-demand deliveries for small items,” says Bash. They are far faster than a bike and consume far less energy than a car. “In terms of economics and the environment, drones offer a lot of advantages for a whole category of packages.” For the residents of Grand Forks and Holly Springs, there is excitement not just about a faster way to get snacks, but about the potential for drone technology to help create new industry and new jobs.